The Belarusian Statistics Agency reported about a fantastic growth of exports in January-February 2012. Compared to the same period last year, the country’s exports grew by impressive 62,5%. The official propaganda trumpeted that Belarus has successfully overcome all the economic troubles that hit the country in 2011. However, the reality looks less euphoric. The breakthrough in foreign trade is not a result of a particularly wise economic policy or an overarching reform strategy. Securing cheap Russian oil supplies and selling oil products to the West remains the backbone of the Belarusian economy. Exports of other goods remain unimpressive. Belarus inherited two large oil refineries from the the Soviet Union. Naftan refinery in the north of the country was established in 1963 and Mozyr Oil Refinary in the south started to work in 1975. Both companies were intended primarily for exports to the West. They processed crude oil from Soviet Russia and then exported processed products such as fuels, gasoline and bitumen. After the collapse of the USSR these two oil refineries were among the most advanced enterprises that the newly-established Republic of Belarus had. And at the beginning of the 2000s the Belarusian government discovered a way to maximise the use of these assets. It literally created an offshore oil zone for Russian companies that wanted to provide crude oil for processing at Naftan and Mozyr Oil Refinery. Thanks to the Union State of Russia and Belarus established in 1996 Russian companies did not have to pay export duties on crude oil on the border between the two countries. To make Belarusian refineries more attractive than their Russian competitors Belarus set export duties on oil products to other countries at a level lower than in Russia. Thus, it became more economically sensible for Russian oil companies to process their crude in Belarus rather than in Russia. It became highly profitable for the Belarusian government and firms to buy oil in Russia, process it at home and then export to foreign countries – primarily the EU member states and Ukraine. That made up up to 40% of all exports in some periods of time. It also generated the lion’s share of hard currency revenues for Belarus. This foreign trade scheme established a strong correlation between Belarusian imports of crude oil from Russia and the overall exports of the country. The oil offshore satisfied the interests not only of the Belarusian authorities, refineries and certain businessmen but also of an influential group of Russian businessmen. Russian oligarchs earned fortunes thanks to the Belarusian scheme. As a result, they became leading lobbyists of the Union State and opponents of export duties on oil on the border between Russia and Belarus. However, even these powerful lobbyists were unable to prevent politics from interfering with the oil scheme. Already in the mid-2000s Russian President Vladimir Putin publicly raised the issue of this offshore oil zone. But he hoped that the privileged treatment of the Belarusian oil processing sector would accelerate economic and political integration between the two states. In 2009 it became obvious that Putin's hopes failed. The Union State’s ambitious goals (for example, a common currency) were not achieved. Moreover, Belarus failed to support its ally in the aftermath of the Russian-Georgian war and refused to recognise the breakaway republics of Abkhazia and South Ossetia. Lukashenka even started to improve relations with the European Union and the United States. In response, the Kremlin decided to do away with the offshore oil scheme in Belarus. After a series of public rows, it introduced export duties on crude oil on the border with Belarus. It became no longer profitable for both Russian oligarchs and Belarusian authorities to process oil at Naftan and Mozyr Oil Refinery and then export to third countries. In 2010 Belarusian refineries did not have enough crude oil to process. Belarusian exports dropped and the country lost its main source of export revenues. It became one of the triggers of the economic crisis in 2011. The Belarusian authorities decided to look for alternative sources of crude oil to substitute the Russian providers. They signed contracts with Venezuela and later with Azerbaijan. But oil transportation costs in those contracts were very high. Economically, it did not make much sense. But politically, it became an additional irritant for the Kremlin. The Russian authorities reintroduced the oil offshore in Belarus only after the latter signed a package of documents on the Customs Union at the end of 2010. The Kremlin agreed to withdraw export duties on crude oil on the Russian-Belarusian border. However, it demanded that Belarus returned all export duties on oil products produced from Russian crude to the Russian budget. This is, of course, a less profitable scheme than the one before. But it is still highly attractive for both Belarus and Russian oligarchs. They profit from the difference between export duties on crude oil and oil products. The latter are only 66% of the former. Thus, the Belarusian refineries can now earn roughly 30% more than in 2010. The resulting Belarusian foreign trade in 2011 and the beginning of 2012 demonstrate that the offshore oil again worked its magic. Belarus spent more than USD 9 billion on crude oil but earned more than USD 12 billion from its exports of oil products. The European Union (primarily, the Netherlands and Latvia) and Ukraine were the main consumers. 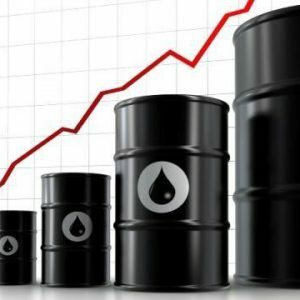 Additionally, Germany and Poland started to buy Belarusian-owned crude oil. Belarusian exports to the EU in 2011 grew nearly two times – even despite the deepening political conflict with the West. However, the current situation may not last forever. Following an oil transit dispute between Russia and Belarus in January 2007, the Russian government constructed a new pipeline bypassing Belarus and other former Soviet States (Baltic Pipeline System-II). Vladimir Putin launched the new pipeline on 23 March 2012. As a result, the volume of oil transportation through Belarus might be significantly reduced. This can also impact the Belarusian oil processing sector. But for the time being oil and oil products make up two thirds of all exports to the EU. Cheap Russian crude oil and consumers of Belarusian oil products among the EU member states are the real saviours of the Belarusian economy. Belarusians have become less interested in the pro-European vector of development as the influence of Russia in the country grows. Belarusian analysts hope that Stefen Fulle's European Dialogue on Modernisation with Belarus will soon become meaningful and that the EU will focus more on working with the people, and not only respond to the actions of the illegitimate Belarusian authorities. Support for EU in Serious Decline – The Belarusian Institute of Strategic Studies (BISS) analyses the March 2012 public opinion poll data of the Independent Institute for Social, Economic and Political Studies (IISEPS). According to BISS, data from the March poll brought a dramatic end to the relative balance in the geopolitical choice of Belarusians: 47 per cent of respondents support Russia, while only 37 per cent show support to EU. This means a 10 per cent decline in EU support since the presidential elections in December 2010 and a 23.5 per cent drop from the pro-EU peak one year ago. In domestic politics, while Lukashenka’s electoral rating grew 10 points from December to 34.5 per cent, 77 per cent of the population still believes that the country’s economy is stuck in crisis. Civil Society Perspective on the Development of the Situation in Belarus – Alena Zuikova, an analyst at Centre for European Transformation, prepared a brief overview of Belarusian experts and CSOs leaders' opinions on the current situation in Belarus with some important conclusions that can be made for EU policy towards Belarus. The paper appeared following the Forum of Belarusian Non-Governmental Initiatives in Warsaw (15-16 March 2012). One of the report's conclusions is that in order to not to hurt the democratic community in Belarus, the EU has to be very balanced and moderate in its relations with the Belarusian authorities. But the “more for more” and “less for less” principles should remain. The application of this principle should also target civil society in Belarus as well and being oriented towards people, and not only respond to the actions of the illegitimate Belarusian authorities. 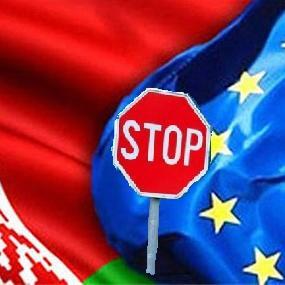 European Dialogue on Modernisation with Belarus: Reality or Illusion? – journalist Elena Daneyka tries to define the meaning of the new EU initiative European Dialogue on Modernisation with Belarus, announced by Stefan Fule. Potential participants from the Belarusian side hope that the authors of the initiative will be able to fill it with real content. Russia is interested in the isolation of Belarus and more repression against the opposition – Liudmila Hraznova, a former member of the Belarusian parliament who is currently a human rights activist gives her vision of why over forty participants of the peaceful Chernobyl Way demonstration permitted by the authorities were detained and some were beaten. She believes that if something is difficult to explain from the point of view of Belarusian national interests, then the most likely explanation is the effect of Russia's influence. She thinks that it is time not to be silent about the fact that Russia is interested in the isolation of Belarus from the West and in keeping the Belarusian pro-Western opposition as weak as possible. The Distance between Smolensk and Moscow is 300 km but a Tomahawk Flies Fast – Alexander Alesin, an analyst of Belarusians and the Market, examines Russia's interests with respect to Belarus. In particular, the expert believes that the military-strategic importance of Belarus is the essence of Russian interests. The report was presented at the conference titled Rubicon-2012: Prospects for modernization and reform in Belarus (Tallinn, 30-31 March 2012). Between Dialogue and a Policy of Double Standards – analyst Pavel Usov continues debate about the effectiveness of sanctions against the authoritarian regime and tries to answer the question of whether dialogue in relation to the authoritarian regime is more effective than sanctions, and if it could lead to real changes in the non-democratic system. The expert offers a definite answer: as long as Lukashenka is in power, any dialogue is doomed to fail. Dirty Games – journalist Svetlana Kalinkina considers why only two activists were released, and not all of the political prisoners. She believes that the recent events are "not a political thaw, but just games in mercy and pardon, punishment and justice. These dirty games should definitely be stopped." Lukashenko, Bynet and Casus Xenia: Former Head of National TV and Radio Company Alexander Zimovskiy reflects on the public debate which emerged following the propagandistic ‘I am from the village’ music video by a 13-year old Xenia Degelko. The negative public outcry (hundreds of thousands of online comments), in Zimovskiy’s opinion, has nothing to do with the singer, but with government policies and life in Belarus. He concludes that the regime received bad news: the number of those who cannot stand the status quo and are simply waiting to show the government their frustration is much higher than the announced 26 per cent – it is a six or seven-digit number. "Political": the Dots Above "i" – the deputy head of Viasna Valentin Stefanovich describes a human rights perspective in the recognition or non-recognition of "political" cases. The human rights defender explains why Viasna does not recognise the political character of criminal cases of anarchists Alexander Kruty, Yuri Chygileichik and Alexander Molchanov. Belarusian Political Talk Show Settled on YouTube – Deutsche Welle reports that Lukashenka's opponents, having no access to television, put their video blogs, in particular, political talk shows, on YouTube: for example, "European cuisine" (movement "For Freedom") and "Mad Tea Party" (Yevgeniy Lipkovich and Vladimir Matskevich).